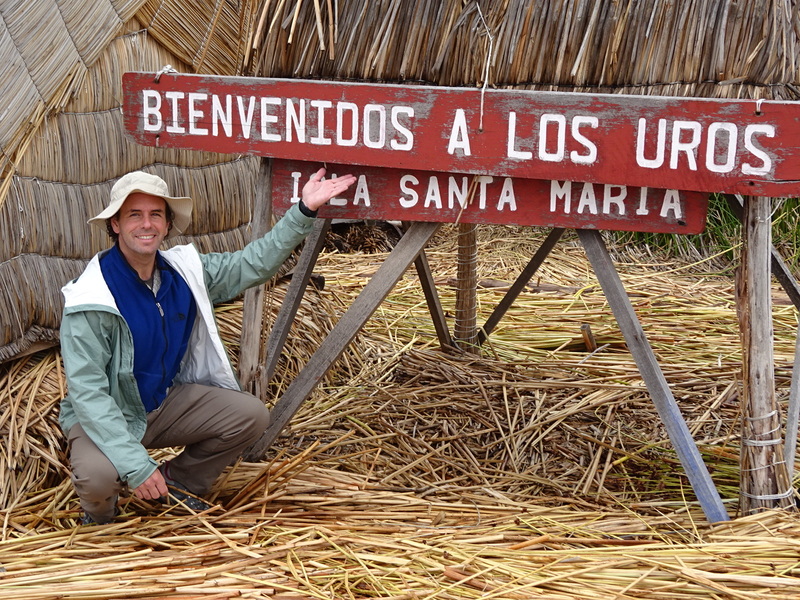 Welcomes to the Uros Islands! Yet another engineering marvel! 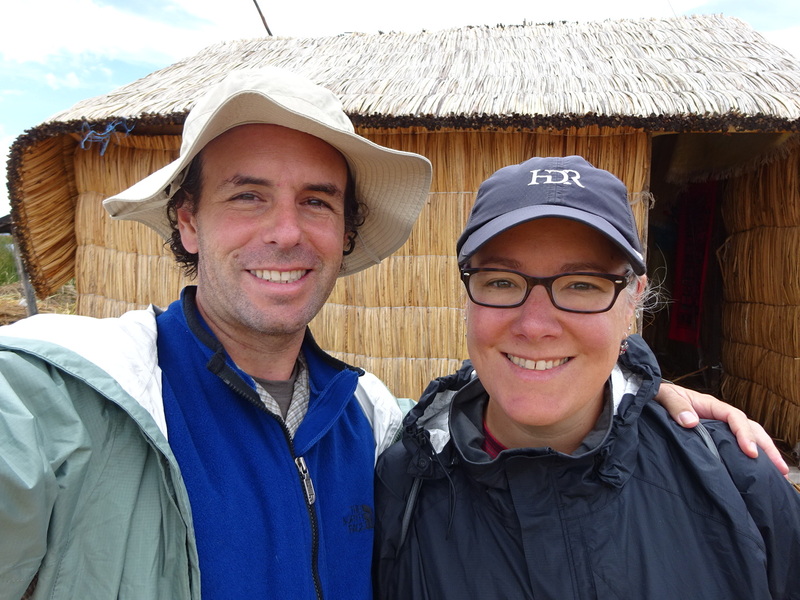 As our last adventure in Peru we stopped in Puno on the shores of the famed Lake Titicaca. You’ve got to go, right? Just so you can say you were there?? Well, little did we know how cool it would be! 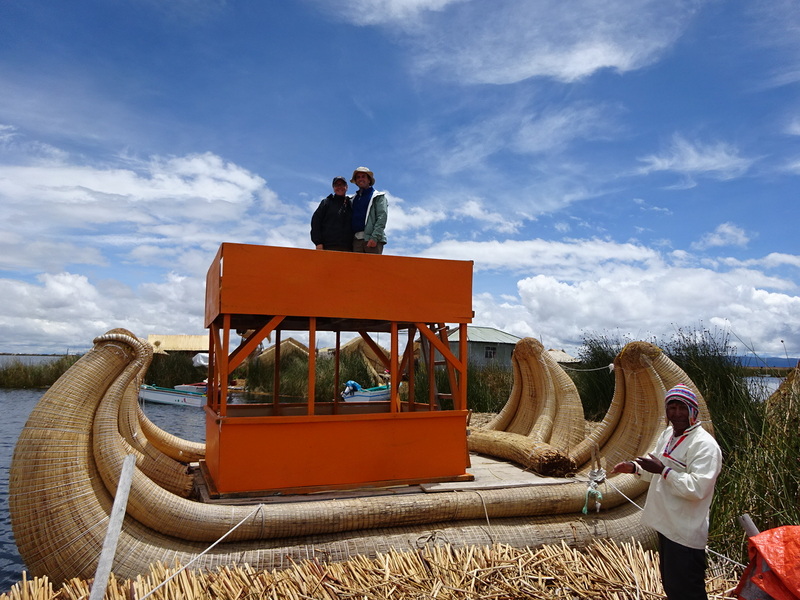 Lake Titicaca is not just a well named lake, it is the highest navigable freshwater lake in the world! 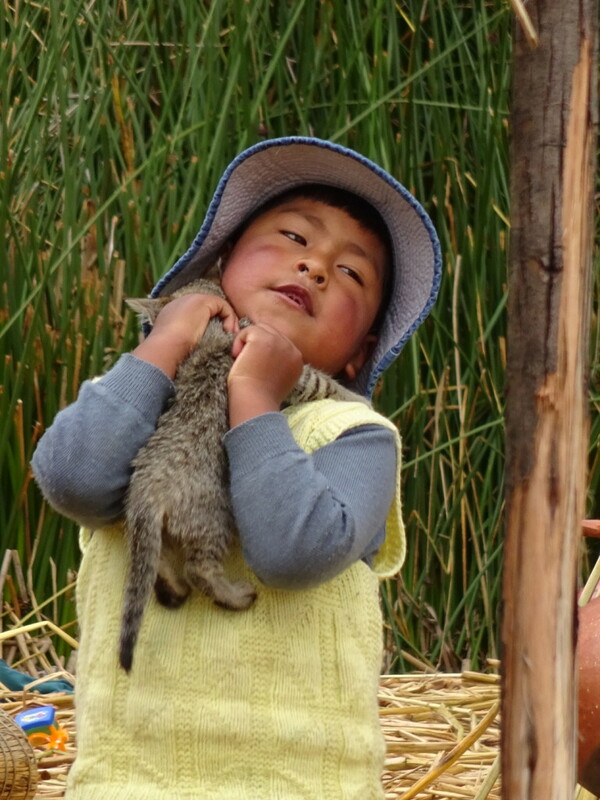 If you are wondering, Titicaca means something like “stone puma” in one of the indigenous languages. Approaching the reed islands. 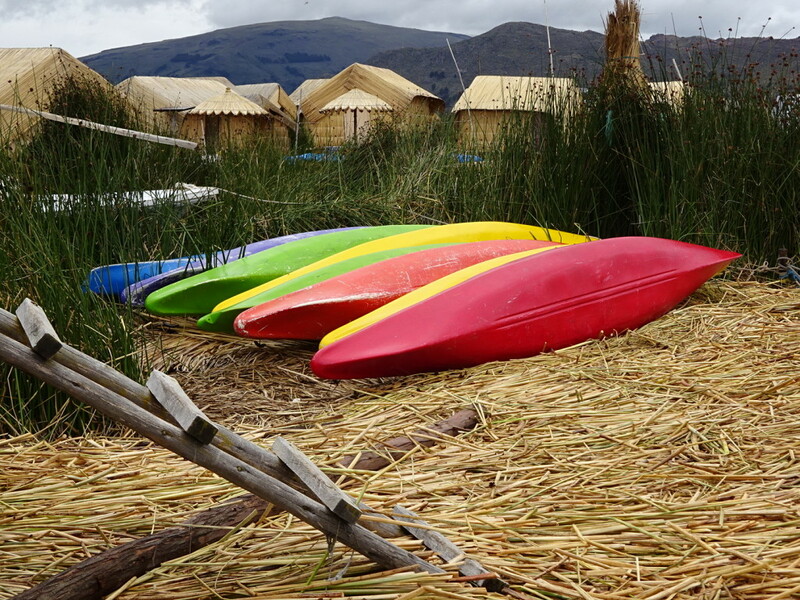 These are all man-made and in the middle of Lake Titicaca. Just incredible! 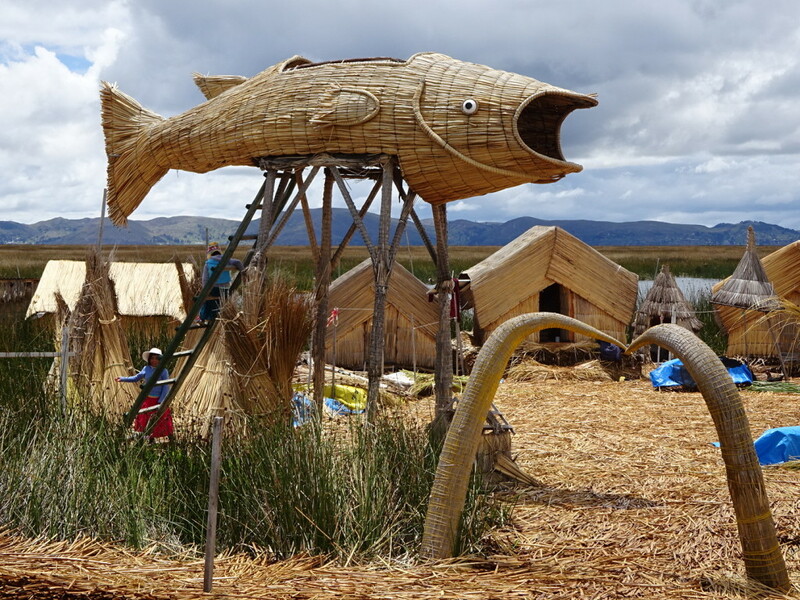 This reed fish is a lookout for tourists to stand in and kids to play in. We didn’t get to visit this island because they send the tourists to different islands on different days. Reed view from the Uros Islands. 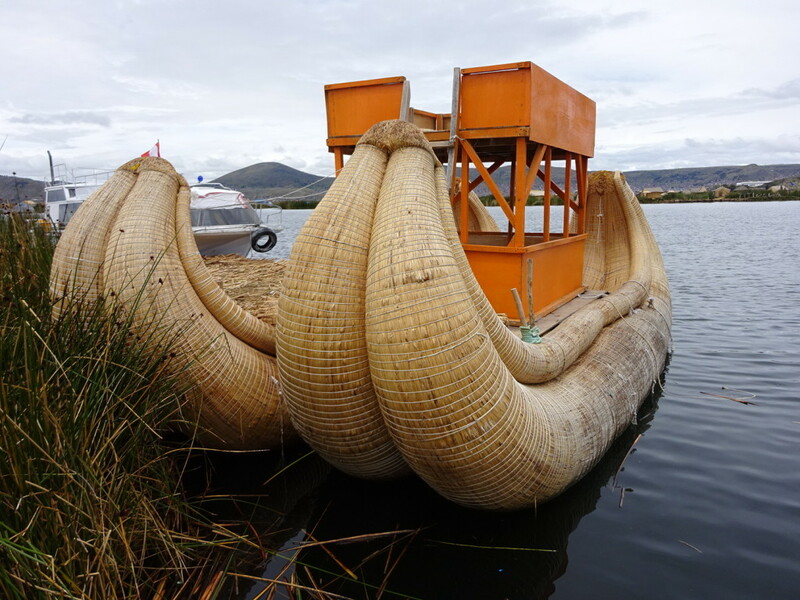 They use the rootball of the reeds as the floatation base and then anchor the rootballs in multiple places (that detail was a little unclear to me, but without an anchor they would float away to Bolivia). 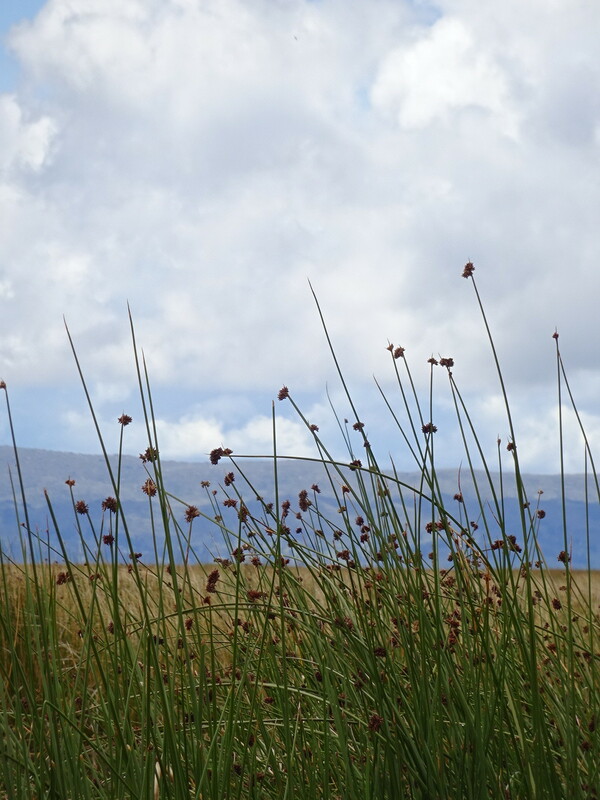 Then they cut reeds from the lake and stack them in a criss-cross pattern over the rootball base until it’s several meters deep in reeds. 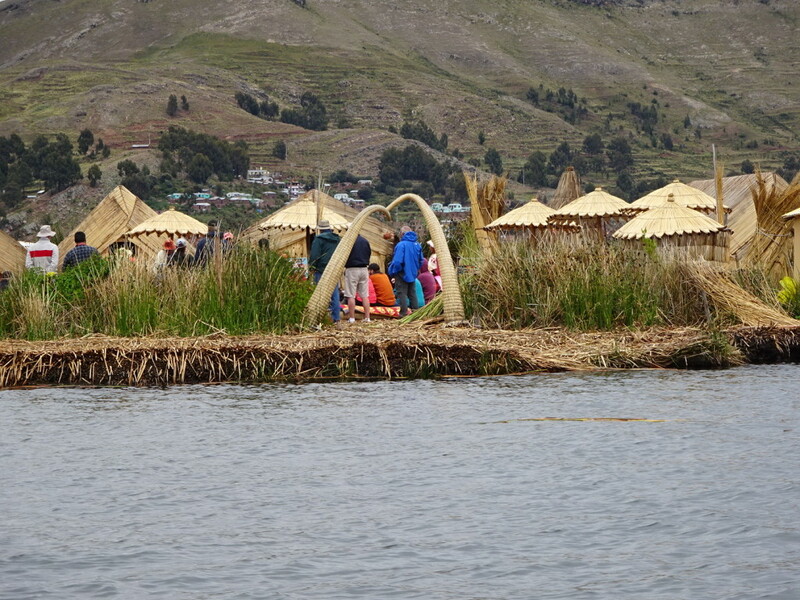 On top of that, they build little reed stands and then build their reed houses upon the stands. The houses were big enough for a double bed (a mattress on top of another pile of reeds) and a table – total maybe 10 x 15 feet. Every WEEK they have to add a layer of reeds because the reeds below keep deteriorating. Every six months, they have to re-build the stand of reeds under their houses. Crazy, eh? They also build reed boats with empty water bottles in the middle of the hull to help it float (Aaron and I rode in one of these boats!). Yay for recycling! 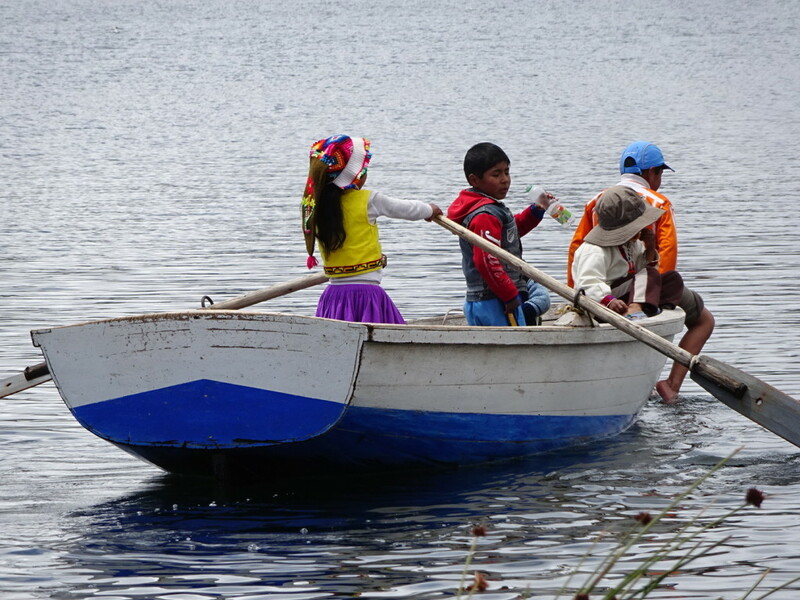 Locals don’t use the reed boats for every trip…sometimes you just want a candy-colored-canoe. 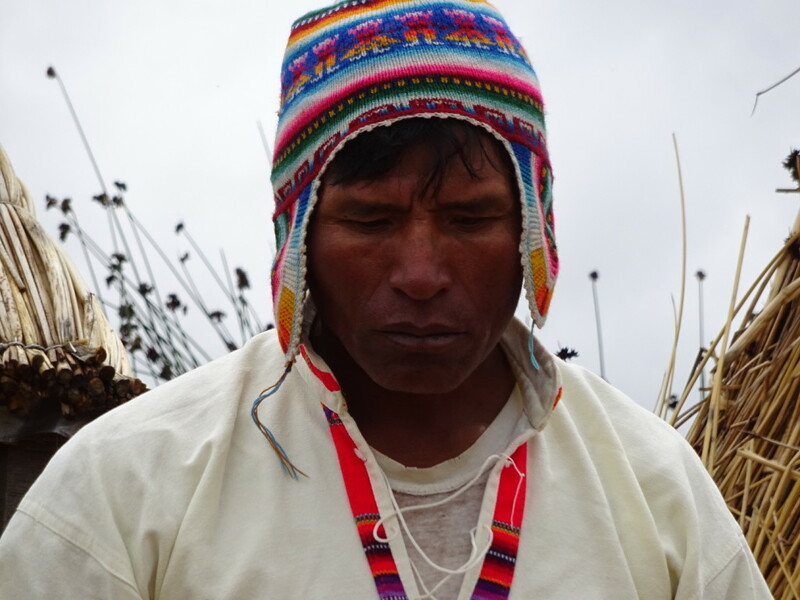 The community works together to survive – sharing responsiblity for fishing, producing crafts and textiles that can be sold at market, entertaining and educating the tourists, building the boats (which take 4 months to build but only last 2 years) and all the other chores. 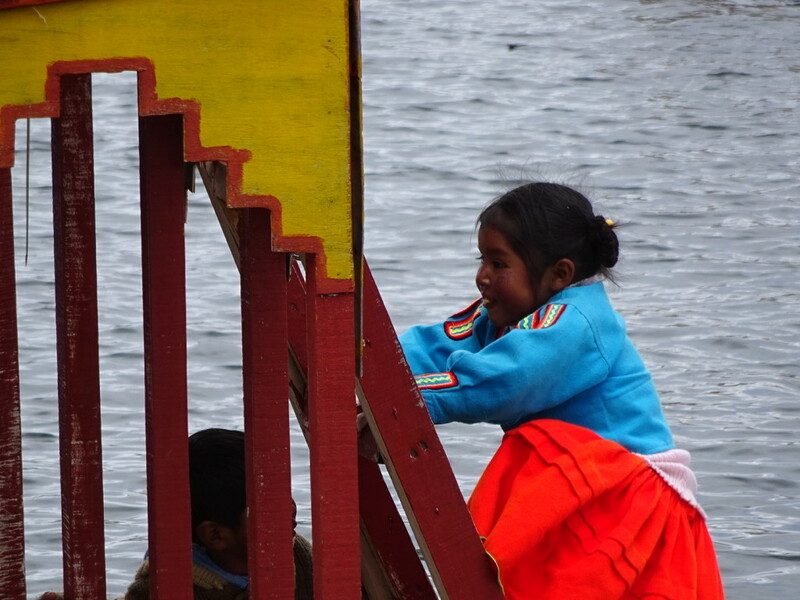 They have an elementary school, hospital and soccer field…each on their own little reed island. Each island is home to 6-10 families and the islands are rather sizable given how they are made…though not so sizable for walking around. In fact, when you walk sometimes water squeezes up through the reeds! The locals seemed to go barefoot. Let me just say it was something to see! 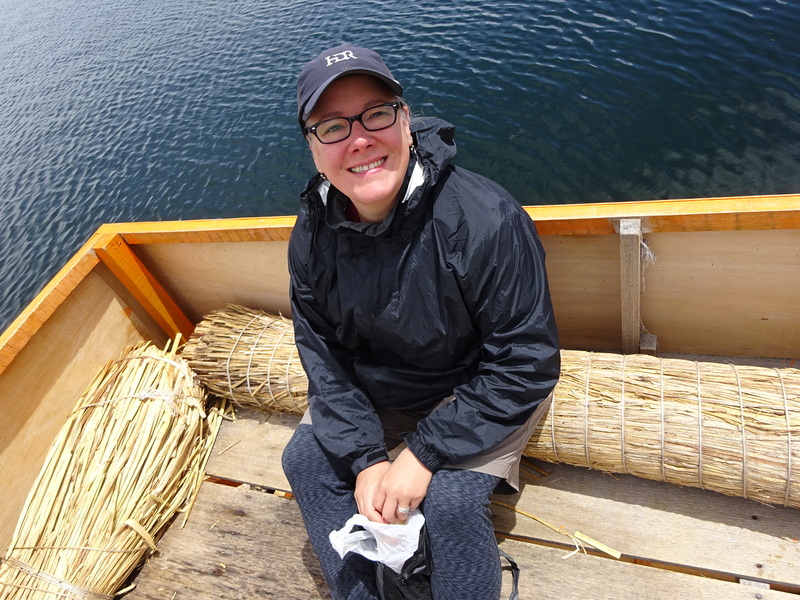 The reed boat ride was pretty cool — but by far the best part for me was when three of the community women came out and sang to us in two native languages. I always melt when people sing to us – it happened in Fiji too. I guess just because it comes from the heart that it is such a special moment. Video of the going-away songs are here. Video of rowing the reed boat is here. Anner is ready to float on. Chores on the reed islands. 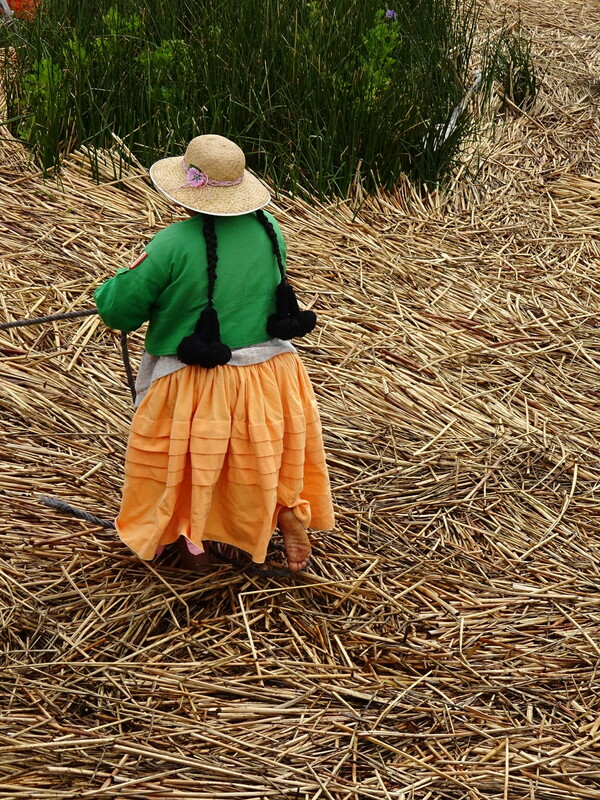 All the women have long hair which they braid and tie off with big woven yarn ends. KITTEN ATTACK!!!! Toddlers and kittens, how much cuter can it get?? Proof we were there. Another wonderful experience that we won’t soon forget. Wonderful. Love the water bottles to help with flotation idea. Anner, how about that idea for the floating bridge in Washington State! Anner’s busy laughing, but she gives the idea the thumbs up!